The sit outs, beds, dinner sets and every little thing that you have shared with your sister always stalk behind in your heart as great memory. Those beautiful days might have gone, distance can let her put aside from you but not from heart. 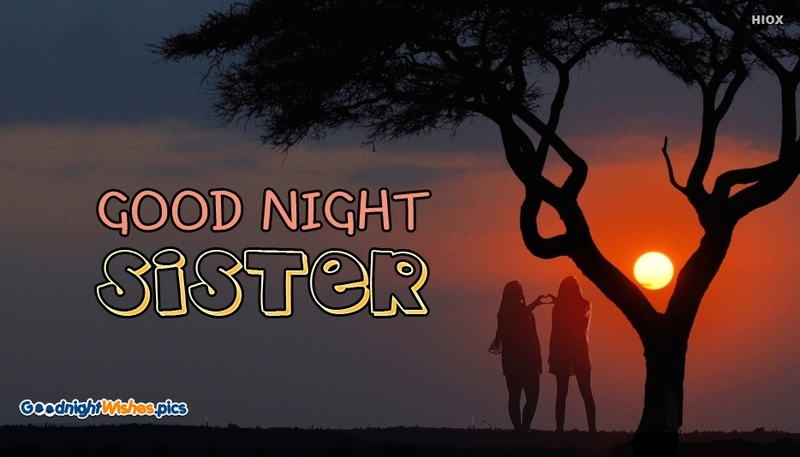 Even at the end of the day, make her rest peacefully by free downloading and sharing this "Good Night Sister" image through any social media.